Chinese smartphone maker Xiaomi today announced two new budget devices in its Redmi series, dubbed as the Redmi 6 and Redmi 6A. The newly launched devices succeed the Redmi 5 and Redmi 5A, featuring a revamped design with 18:9 displays, minimal bezels and more. The Redmi 5 series was announced back in December last year and now the company has announced the successors of its popular Redmi series. The Redmi 6 is the premium offering among the two and will be available in two variants. While the two devices have similar design, they differ in terms of specifications. 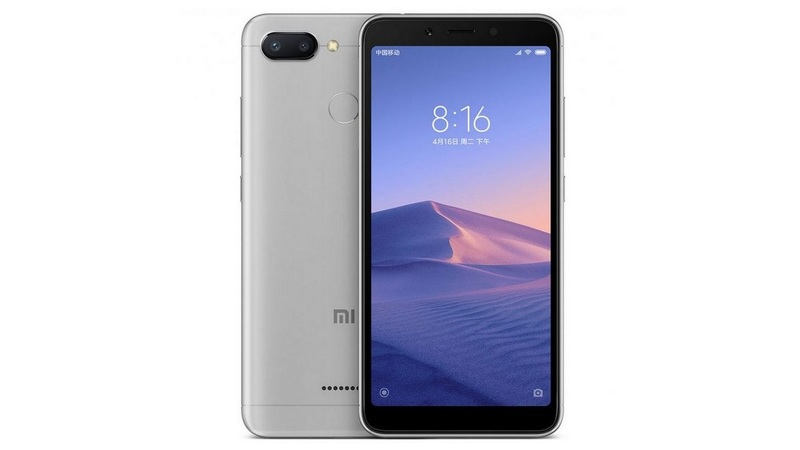 The Xiaomi Redmi 6A runs on Android 8.1 Oreo with MIUI 9 skinned on top and is expected to be upgraded to MIUI 10 once the stable rollout begins. It features a 5.45-inch HD+ 2.5D curved glass display with a resolution of 1440 x 720 pixels and an aspect ratio of 18:9. In terms of performance, the Xiaomi Redmi 6A is powered by a quad core MediaTek Helio A22 SoC coupled with IMG PowerVR GE GPU. In terms of memory, the device is available in one variant only with 2GB RAM and 16GB of internal storage which is further expandable up to 128GB via a microSD card. Coming to the camera department, the Xiaomi Redmi 6A features a 13MP primary camera with an LED flash. On the front, it sports a 5MP selfie camera. Just like the Redmi 5A, the Redmi 6A also lacks a fingerprint sensor. 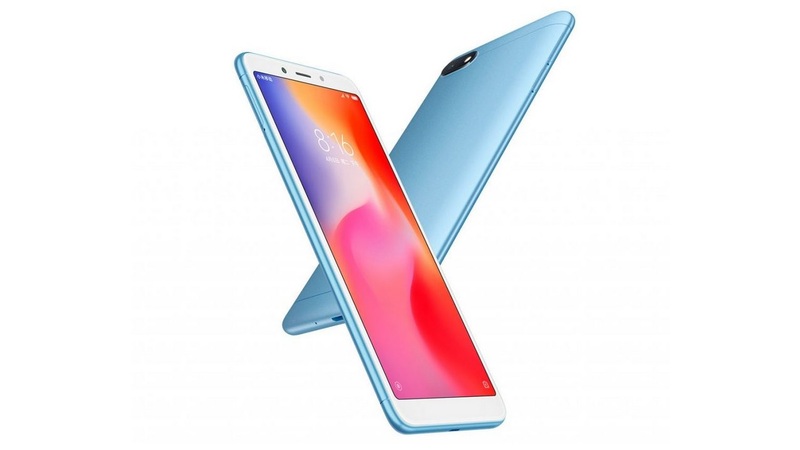 The Redmi 6A is powered by a 3,000mAh battery and connectivity options on the device include 4G VoLTE, Wi-Fi 802.11 b/g/n, Bluetooth 4.2, GPS, an Infrared sensor, 3.5mm audio jack, micro USB port and FM Radio. The Xiaomi Redmi 6 also runs on Android 8.1 Oreo with MIUI 9 skinned on top. It features a similar 5.45-inch HD+ 2.5D curved glass display with a resolution of 1440 x 720 pixels and an aspect ratio of 18:9. In terms of performance, the Xiaomi Redmi 6 is powered by an octa core MediaTek Helio P22 SoC coupled with IMG PowerVR GE8320 GPU. In terms of memory, the device has been launched in two variants – 3GB RAM + 32GB storage and 4GB RAM + 64GB storage. Coming to the camera department, the Xiaomi Redmi 6 features a dual camera setup at the back consisting of a 12MP primary camera with 1.25μm pixel size, f/2.2 aperture, phase detection autofocus and a secondary 5MP camera assisted by an LED flash. On the front, the device sports a 5MP selfie camera. The Xiaomi Redmi 6 is powered by a 3,000mAh battery, which is a downgrade from the 3,300mAh battery of the Redmi 5. Connectivity options on the device include 4G VoLTE, WiFi 802.11 ac, Bluetooth 5.0, 3.5mm audio jack, FM Radio, Infrared sensor and a microUSB 2.0 port. The Xiaomi Redmi 6 has been priced at CNY 799 for the 3GB RAM variant and the 4GB RAM variant is priced at CNY 999. The Redmi 6A is priced at CNY 599 for the 2GB RAM variant. Both the devices will be available in Blue, Gold, Grey and Rose Gold color options from June 15 in China.